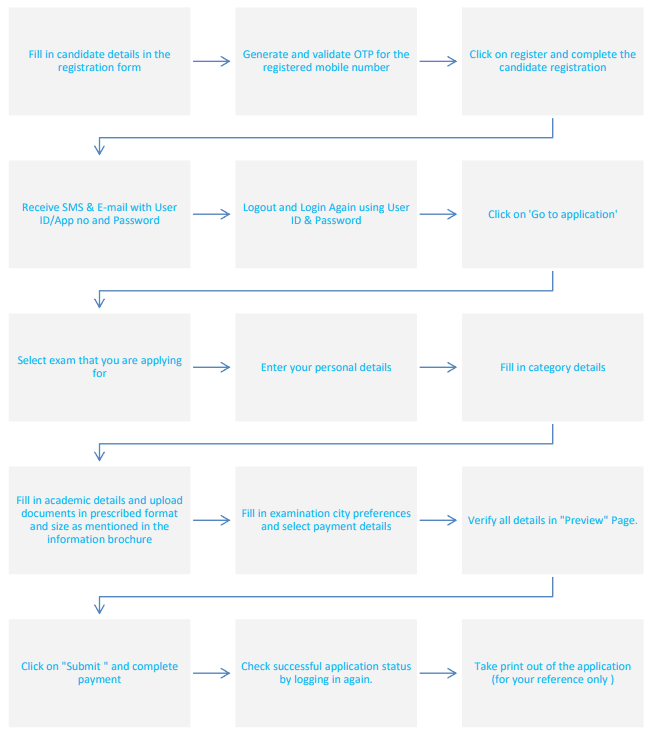 COMEDK Application Form 2019: Dear Students, are you preparing for COMEDK Exam? Do you know the meaning of COMEDK? Its full form is “Consortium of Medical, Engineering and Dental Colleges of Karnataka”. COMEDK has been entrusted to organize the common entrance test for the students of the academic year 2019-2020. This test is conducted by the government of Karnataka. COMEDK UGET is the fair and effective way to choose the eligible candidates/students through the entrance exam of COMDK UGET. Those candidates/students clear the exam which is eligible for the counselling to the colleges and get their desired college for their further studies at reputed colleges and university. It is a better opportunity for the intermediate students to get the best engineering college for BE/B.Tech. COMEDK is conducted every annual year for choosing the candidates/students for about 150 engineering colleges in Karnataka. COMEDK exam held every year on the all-India basis. 5th Feb 2019 (Tuesday) Mock test available online. 22nd April 2019 (Sunday) Last date to edit select fields in application form. The application/registration forms of COMEDK 2019 notification released: Form filling has been started from 16 January 2019. Bookmark us to visit this page again. The application form will arrive online mode only for all the eligible candidates/students. Those candidates who want to become a part of or wanna to participate into the admission process of COMEDK 2019 should have to fill the application form and submit online before last date. Candidates who have not filled the application form or not get registered will are not allowed to participate in the entrance exam. Which should be mentioned in the notification by using credit card/ debit card. It is the most important thing that the details are filled correctly and carefully in COMDK 2019 Application form. Keep User ID and password which is originated during the time of registration. (i) Photograph, (ii) ID proof, (iii) Signature, (iv) Guardian/Parents signature. After scanning these things upload into the COMEDK Application form. Note: Fee not refundable in any case. Candidates/students of all states are eligible to take COMEDK UGET exam to follow these eligibility criteria for engineering and architecture. Candidates/students who want to fill the COMEDK UGET 2019 must fulfill the criteria which have been published through the officials. All the eligibility and criteria information are given below the article to fill the form. Candidates/students who have completed their 10+2 can fill the COMEDK from and those candidates/students who appear in the intermediate examination are also able to fill the form. Candidates must have completed their intermediate or 10+2 or equivalent. Examination qualification: Candidates/students have completed 10+2 or equivalent from the recognized board. Candidates must have compulsory as Physics, Chemistry, Mathematics, and English. Required minimum marks: Those candidates who come under the General category should have passed with a minimum aggregate of 45% marks and those candidates belongs under the category of OBC, ST, SC should have passed with a minimum aggregate of 40% marks in Physics, Chemistry, Mathematics of Karnataka. The most important thing for COMEDK candidates that they must have passed all of these subjects individually. Compulsory subjects for any other technical course are Physics, Chemistry, with Mathematics or Biology as a compulsory subject for Biotechnology students in 10+2. If there are any changes in the eligibility criteria have come from the side of COMEDK 2019 then we will be updated on it. Diploma held candidates/ Lateral Entry: There is no facility of lateral entry admission in COMEDK 2019. There is no eligibility for diploma holder candidates/students. Qualification examination: Candidates/students should have completed 10+2 or 2nd PUC Or equivalent from the recognized board. For applying Mathematics as the compulsory subject with other required subjects. Candidates also eligible who have a diploma of 10+3 from the recognized university by central/ State government. Required minimum marks: Candidate which comes under the category of general should have passed in intermediate with a minimum aggregate 50% marks and candidates/students which belongs from OBC, SC, ST should have passed with minimum aggregate 45% marks of Karnataka candidates. Entrance Exam: Those candidates applying for Architecture should appear in NATA exam. The NATA exam which is held by CoA. Candidates must have obtained 80 and above marks out of 200 marks. A consortium of Medical Engineering and Dental Colleges will not hold any entrance exam for architecture. Application Form for Architecture: A separate application form must be submitted to B. Arch candidates for admission counselling. 2. Andhra Pradesh Chittoor, Guntur, Kakinada, Kurnool, Nellore, Rajahmundry, Srikakulam, Tirupathi, Vijayawada, Visakhapatnam, Vizianagaram. COMEDK Under Graduate Entrance Test (UGET) 2019 admit card tentatively come during the First week of May 2019 will be released by the admission authorities of COMEDK UGET 2019. Now search for the admit card. Take a print out to enter into the examination hall. Candidate can also download admit card here. We will update the downloading link soon. Those candidates/students gave the exam of COMEDK UGET 2019 are waiting for the answer key to check their question answer right and wrong for their satisfaction. The answer key of COMEDK UGET 2019 tentatively come from the third or fourth week of May 2019 by the official website of COMEDK UGET 2019 admission authority. By the help of answer, key candidates/students will able to know their probable scores by comparing their answers. The cutoff of COMEDK UGET 2019 will be prepared by the authorities of the exam conducting authority. By the process of cutoff COMEDK UGET 2019 will consist of opening and closing ranks through which the candidates/students will have to get their allotted seats in participating institutes. The most important thing is that the cutoff will differ for each institute. The cutoff of COMEDK UGET 2019 will differ for each course also. Candidates who are looking for the cutoff of COMEDK UGET 2108 examination can get the cutoff information from the official website that is www.comedk.org and also will able to get through our given link. The result will be published by the admission authorities of COMEDK UGET. The result may announce during the Fourth week of May 2019. Candidates/students will be able to know their scores/marks through the announcement of the result through the official website. 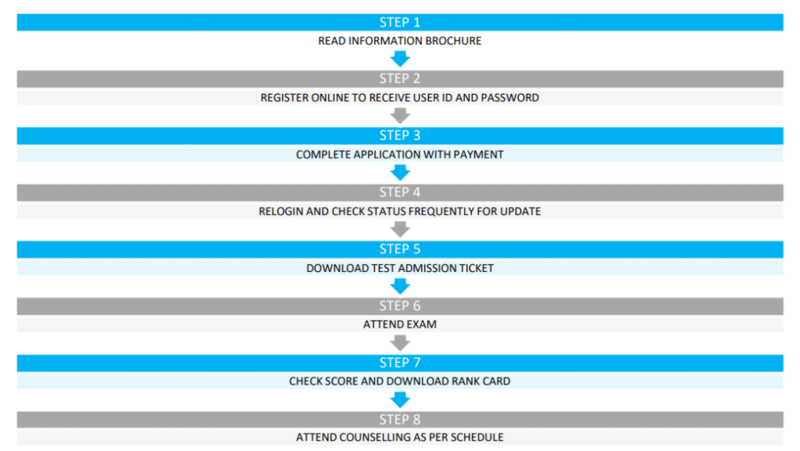 Candidates who want to get admission must have to be scored the required marks to get admission into it. Those candidates/students who are eligible for counselling session whose scorecard will be generated only rather than others. Those candidates who are selected at the time of counselling will follow the counselling process consists of registration, choice, filling, allotment of seats, fee payment, and document verification. All the candidates who qualified the COMEDK UGET 2019 exam will have to register itself for the counselling session through online mode. Mock allotment will be held by the admission committee through which they allotted seats to the students. Changing and modification will be allowed after the mock session. The final seat will be allotted based on the merit list and according to the preference of the aspirants. Selected aspirants will have to submit their fees through online mode as debit/credit card through which the entry verification card will be originated. Candidates admission will be confirmed after the verification of documents. 4. Admit card with the signature of Invigilator. Hope you understood the concept of COMDEK examination! In case you have any query or doubt then you can ask us in discussion section below. Our expert team will help you in solving the problem for you. As career after 12th is important, we want to help every aspirant get information they need.